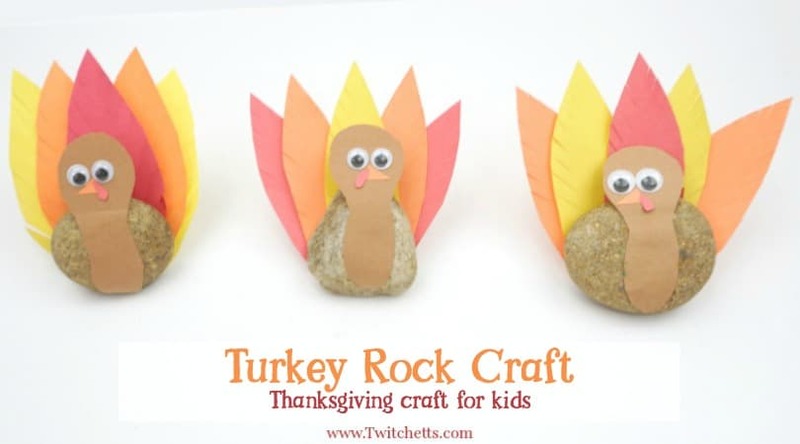 A turkey rock craft that is a cute and easy craft for kids. 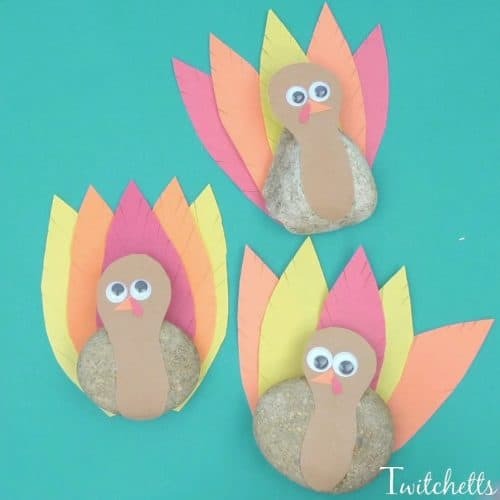 This fun Thanksgiving craft combines rock decorating with construction paper to create an adorable turkey. We love stone painting a lot in our house… but as you know we also love construction paper crafts for kids! 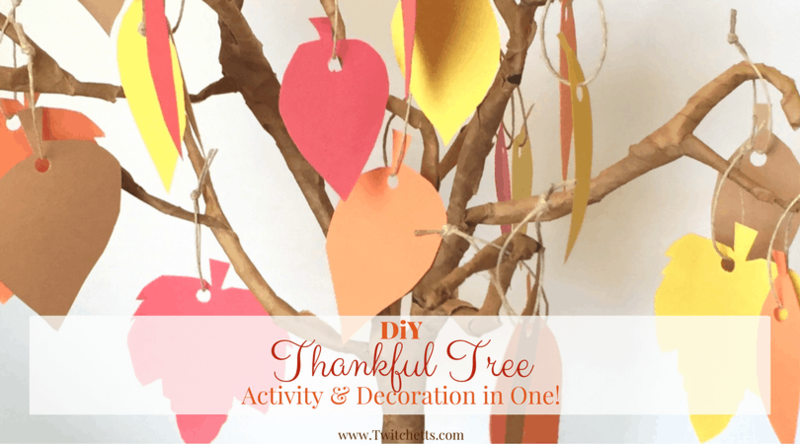 We blended our two loves today to create this fun and friendly turkey rock craft! Construction Paper. Red, orange, yellow, and brown. Googly Eyes. White paper and black ink could work as well. 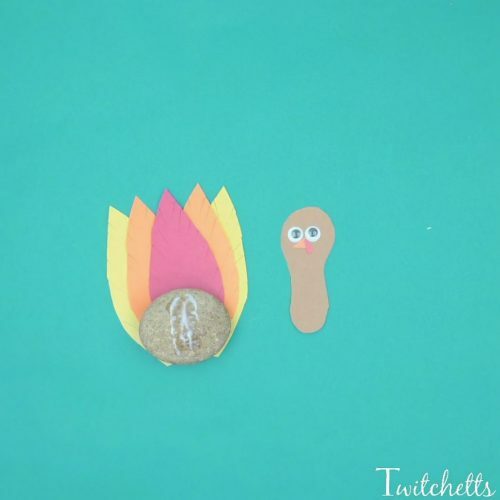 Check out the step by step instructions for this turkey rock craft. 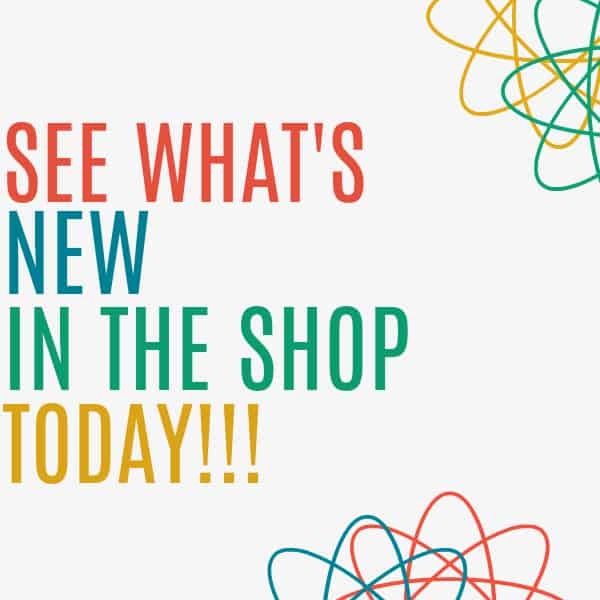 Then see it all in action in the quick video below. You always want to start your rock crafts with washed and dried rocks. 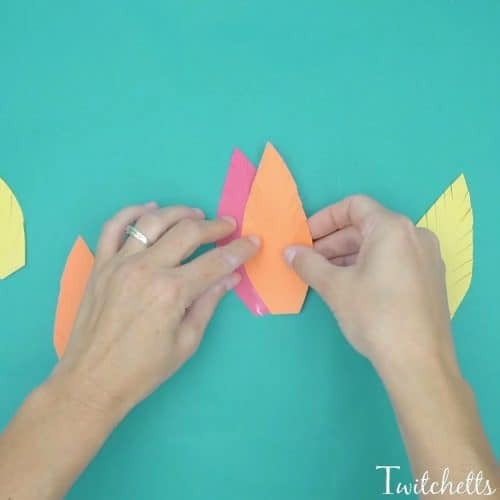 Grab your red, orange, and yellow construction paper and create some tail feathers. You can create as many as you like, but I like having an odd amount so you can work with one in the center. Next, fringe cut the edges of your feathers. 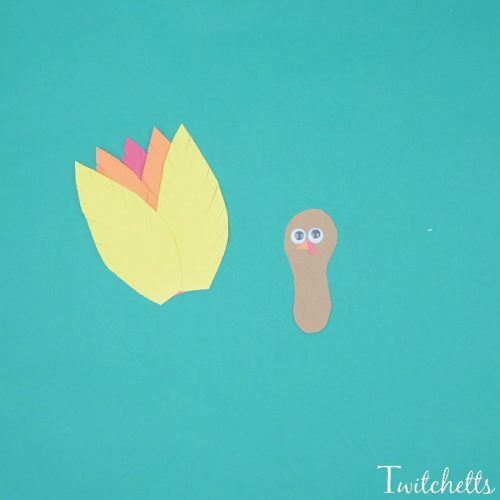 This is a great way for your child to work on their scissor skills. You can stack them to do this or if your child is younger they can do this one at a time. Whatever is easiest for them. Pick your center feather and start working out. 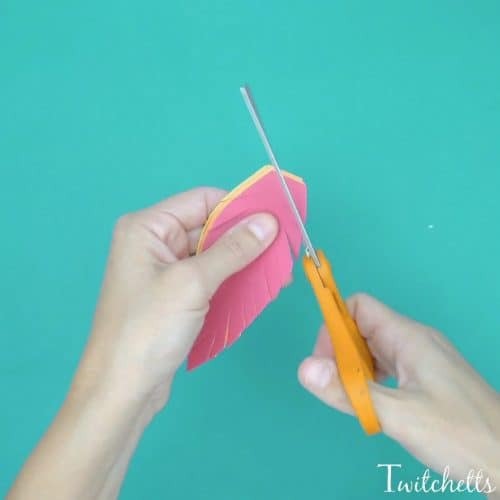 Using the glue stick add each feather in a fan style shape. Now to create the head. Use the brown to make a body. Add a couple googly eyes and use some scraps to create a simple triangle beak and crook. 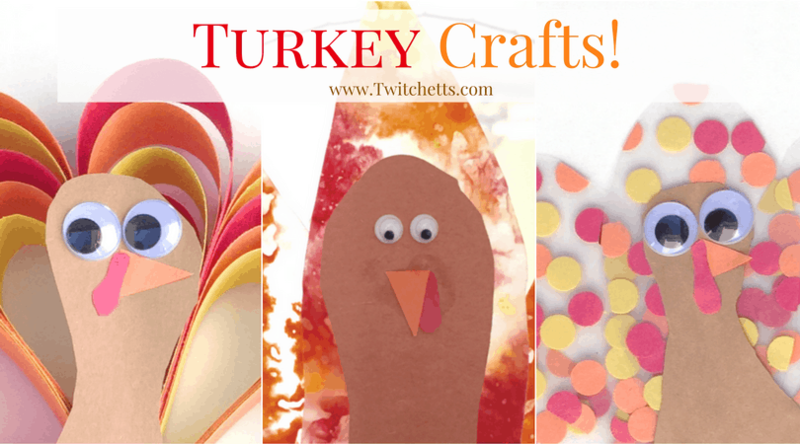 Related Crafts: Looking for more turkey inspiration? 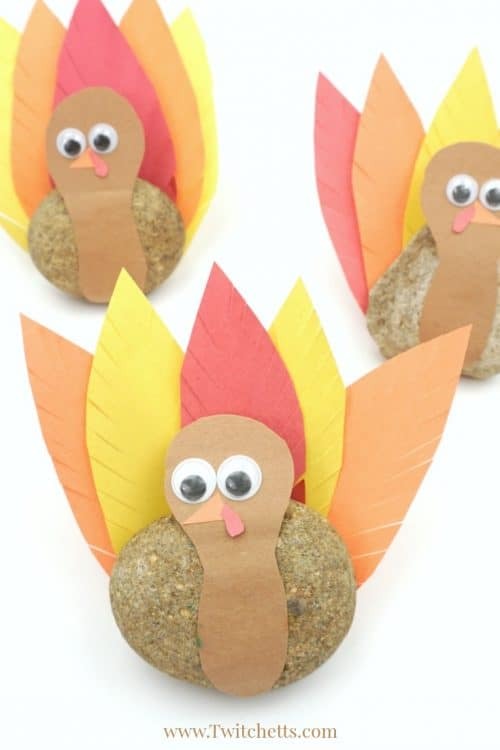 Check out these 11 fun turkey crafts! Flip over your tail, add a bit of white glue to the back of your stone, and place on your tail feathers. Add more glue on the top of the rock to attach your head. Place the head/neck so that it curls under the rock a bit. Make sure to add a bit of glue on the bottom to help secure it. 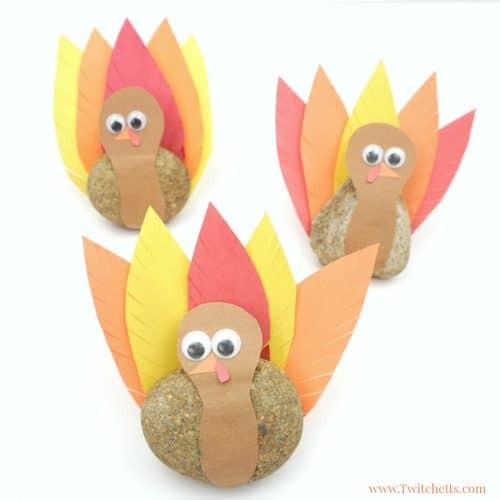 Each turkey rock craft will all be different because no two stones are alike! See the whole rock activity process from start to finish in this quick video! These guys would look cute on a kids tablescape for Thanksgiving dinner or could keep them busy while you’re cooking on Thanksgiving day! 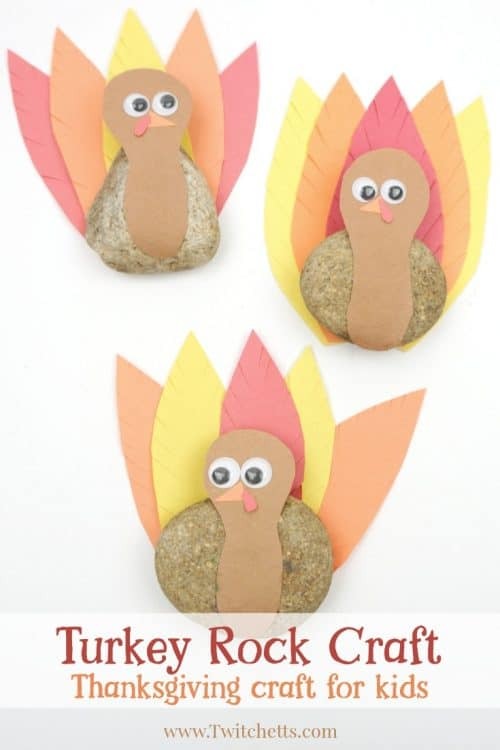 We’d love it if you pinned Thanksgiving Rock Idea to your favorite Pinterest board!